I don’t just use famous people. I’m not even famous lol. um how did u get ur vid not to have a watermark what did u use? sludge, are you a PJO fan too? not the movie, the actual book. have you read Rick Riordan’s new book, The Red Pyramid? hey sluge rockin vid. If you no anybody that plays pandanda tell them there’s an awesome blog called pandanda.wordpress.com I saw a little add for pandanda on somebodys blog but i can t remember who. if u play or even if u dont check it out and tell me what u think. purdy purdy please? Hey dude spectacular vids. I ‘ve seen ’em all a million times. Hello Sludge. I am The Golden Gaming King. 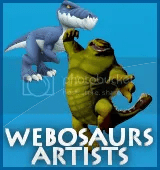 I own a blog which is http://dailygaming.tk (hosted on WordPress.com) I am here to ask you if you would help DuksterDude post for Webosaurs. 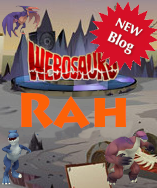 It has about 116.000 hits and it posts for about 30 different virtual worlds. This is a very tough job to do by myself. So I invite you and/or your staff to help me post. Hello, The Golden Gaming King. 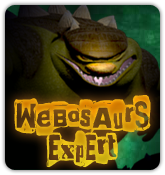 My name is Remixz, and I’m an editor here at Webosaurs Gang. You will have to ask Sludge himself personally, but I would think that Sludge would decline this. As part of his staff, I know that one of his requirements for being an author is not to work on ANY other blogs. I think that’s a fair rule. So, I’d say sorry, but no.